Not only were our ears blessed with the talented vocals of Luke Combs, but Luke showcased the talent of all his band members. It is not very often that you go to a concert and the majority of people know every song that the artist sings. It seemed like every person in the Armory was a die-hard Dan + Shay fan. 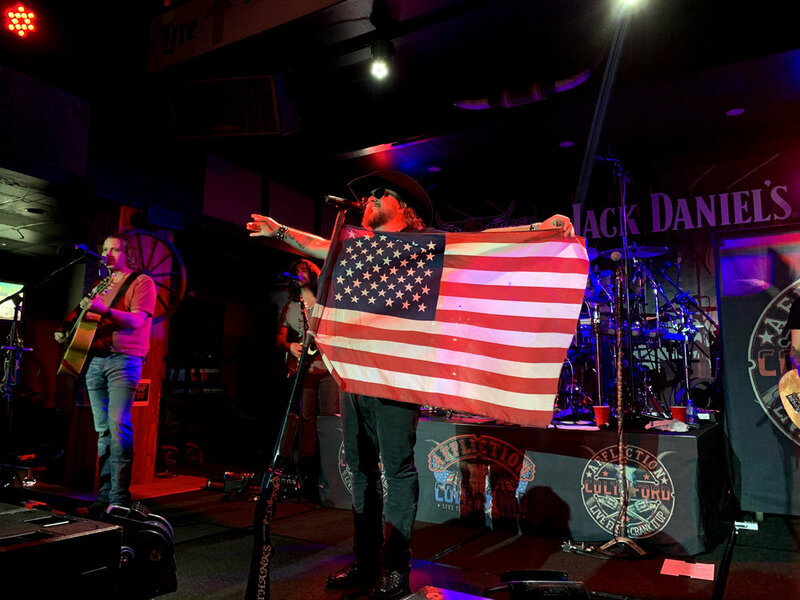 Country music fans filled The Pourhouse from wall to wall Saturday night to hear Tyler Farr and opener Josh Phillips belt out fan favorites in an extremely intimate setting. Despite the freezing temperatures, a large crowd made it out and sold out the event center to see Gary Allan. The boys of LANCO took full advantage of this being their first headlining tour because they owned that stage. The entire evening was filled with smiles, high fives and memorable moments. If you walk around downtown Minneapolis this week, you’ll find yourself surrounded by all things Final Four. Nicollet sports semis wrapped with NCAA banners that unfold into broadcast sets, and Final Four flags line every pole in sight. It’s March Madness in April all over the place. Until you enter Wild Greg’s Saloon for a Colt Ford concert. Trade your Jordan’s for Justin’s at the door because once you enter, you’re transported to a saloon that rivals the best in Texas. The bar comes equipped with swings instead of stools, a mechanical bull and a concert stage with nearly 360-degree viewing and speakers mounted just about everywhere. After a quick lap around Minneapolis’s newest country venue to take in the sights, it was time for fans to settle in for the hometown sounds of Hitchville. The local foursome, known for their unexpectedness and lively opening sets, covered hits like “Who Wouldn’t Wanna Be Me,” “Speechless,” “Gun Powder and Lead,” “Any Man of Mine” and “Boondocks” as well as playing originals “Love is the Road,” I’ll Be Right There” and “Hole in the Wall.” If the band’s name sounds familiar, it could be because their music can be heard in between innings at Twins games. Ford changed the tone for a minute to remind the crowd how important it is to support our veterans who may be suffering from Post-Traumatic Stress Disorder and that the proceeds from every purchase of “Workin’ On” go to Marcus Luttrell’s Lone Survivor Foundation before playing the poignant tune. 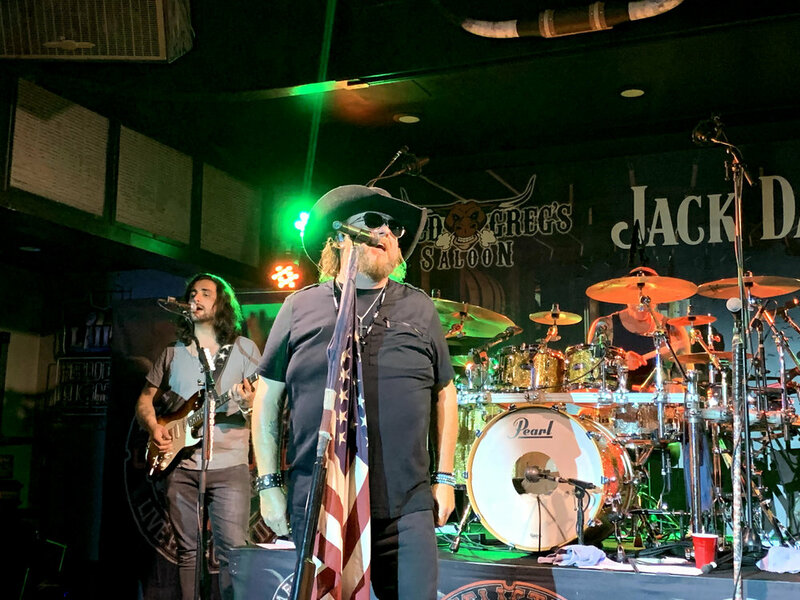 The next time you want a little of everything: country music singing, rapping, hip shaking, fiddling and dirt road loving, get tickets to a Colt Ford concert. And the next time you want to do a little boot scootin’ and getting bucked off the bull, head to Wild Greg’s Saloon. McCreery is someone that we always look forward to having back in Minnesota and he never disappoints. With a rockstar line-up with Walker Hayes, Morgan Wallen, and Justin Moore, the crowd was ready to give and get loud. Lauren Alaina, Dustin Lynch, and Cole Swindell were the perfect trio to show a Minneapolis crowd a real party. This past Sunday, Jimmie Allen strolled through the produce section to a small stage to put on a show for a crowd at the Roseville Walmart. Target Center was filled with fans that danced and sang the night away. With a massive stage, multiple catwalks, blow up snakes, and flying objects, the night was a spectacle for all. The rain held off and the heat rolled in while fans enjoyed a night to remember benefitting the Cold Spring Fire Department. It could not have been a more perfect night for Luke Bryan to take the stage at Target Field in Minneapolis, MN for his What Makes You Country Tour XL Stadium Sized Tour. This past Monday, Devin Dawson boarded the Avalon cruise ship on the St. Croix River to put on an acoustic performance for K102 listeners. The “All On Me” singer broke the record for the amount of people aboard the ship for this event. Proud of his rock-country vibe and American pride, Brantley Gilbert rocked out until the last possible second. LOCASH clearly loved being on stage and expressed several times how much they love the Lakes Jam festival. There were pre-parties everywhere you looked nearby the stadium and everyone was ready to have a good night of country music.